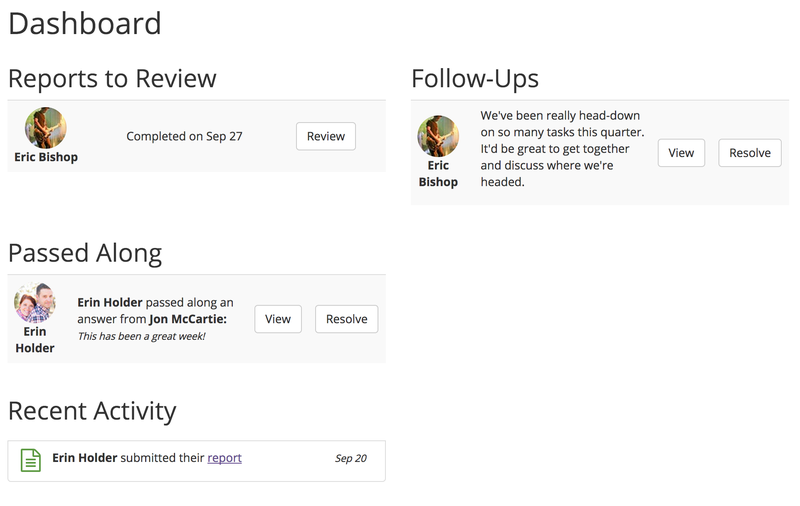 New Features: Dashboard, Recent Activity, and "Pass Along"
We're very excited to launch 3 new features today! After using SproutMark for the last few months, we noticed that getting around the app was never that user-friendly. If you're a leader, you start on "My Report", but then almost always click on "My People". If you're a team member, "My Report" is great, but many other areas aren't that useful. Also, as a leader, we were needing a way to know what reports needed to be reviewed. We needed some sort of overview page that gave you a good glimpse of all that's going on in the system. 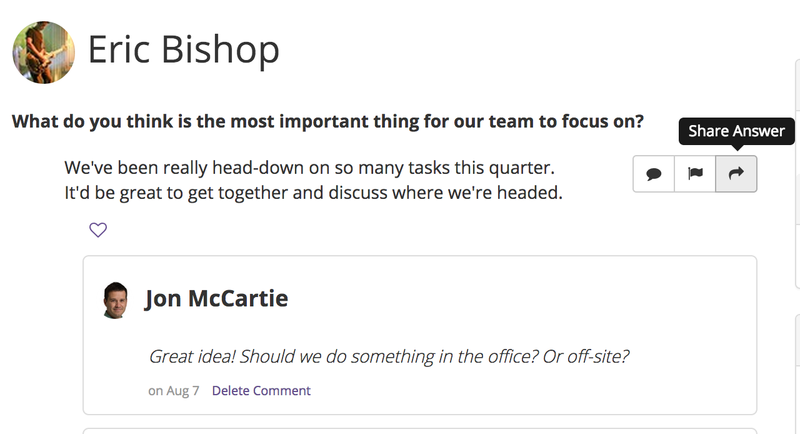 With that in mind, we're very excited to launch our new Dashboard feature! Having a Dashboard gave us a great opportunity to launch another feature: Recent Activity. Here, you'll see information about team members who have submitted reports and whenever someone comments on or likes one of your answers. Check it out on your Dasboard! We've found the last few weeks that certain answers don't just need a "Flag" -- certain answers need to be shared with other leaders in the organization. Our new "Pass Along" feature lets you select an answer, then choose someone to share that answer with. That user will be alerted and be able to view that single answer. 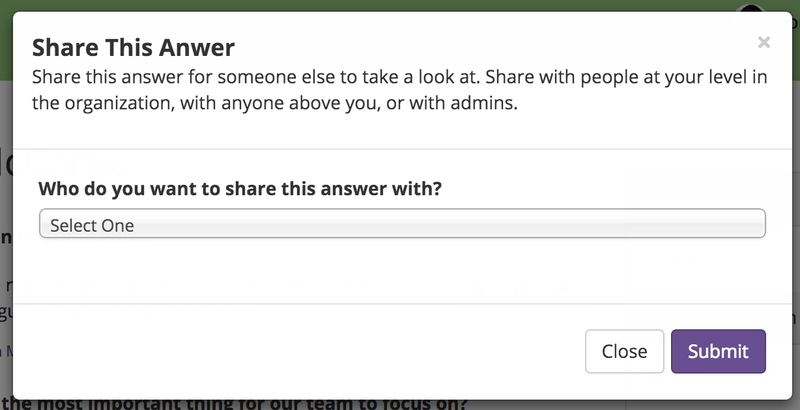 You can share answers with users at your level in the organization, any users above you, and also with any users marked as an "admin". A modal will allow you to pick which leader you want to share that with. We hope you love these new features! If you need help or have any feedback, let us know!